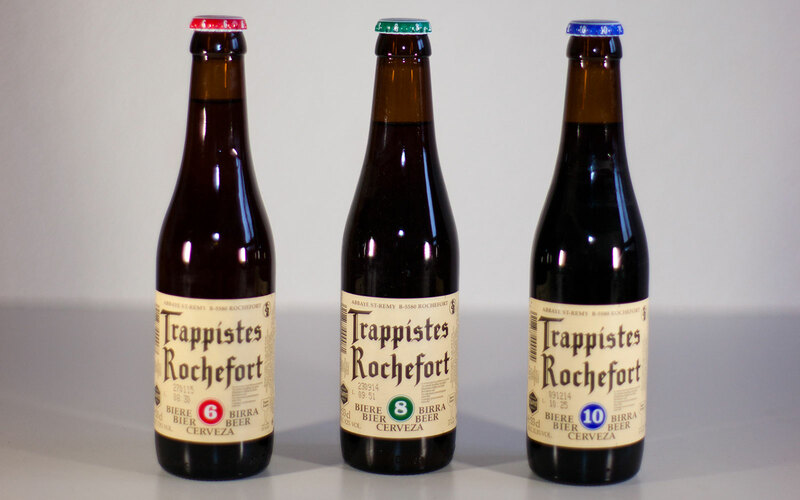 Trappistes Rochefort 8 (ABV 9.2%) is deep golden-brown with red highlights. The aroma features fresh fruit, spice, leather, figs, and a hint of smokiness. Flavor is complex, with date, caramel, and brown sugar notes accompanied by spicy coriander, nutty yeast, and herbal hoppiness. It ages well and can be cellared for at least five years while maintaining quality.